Welcome to our recipes page. 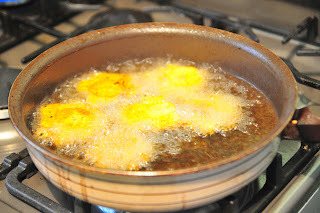 Here we will put on some of our favorite recipes as well as some we learned in Costa Rica. 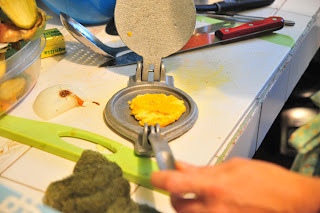 Go down the page and see some of the different recipes. Ever had plantains? We eat them on almost a daily basis. 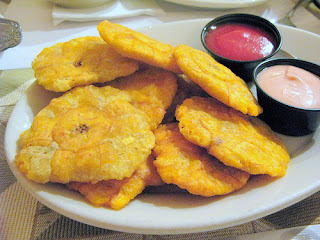 They are good, filling, everyone likes them, and they are either free or almost free. 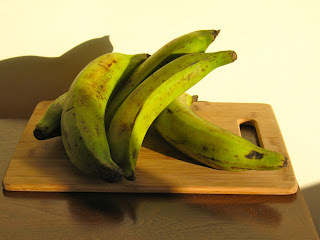 In town they about 3 kilos (about 6.6 pounds) for 500 colones... $1. So 6 pounds of food for $1. Yeah.. we eat them a lot. When we move they are growing everywhere for free. 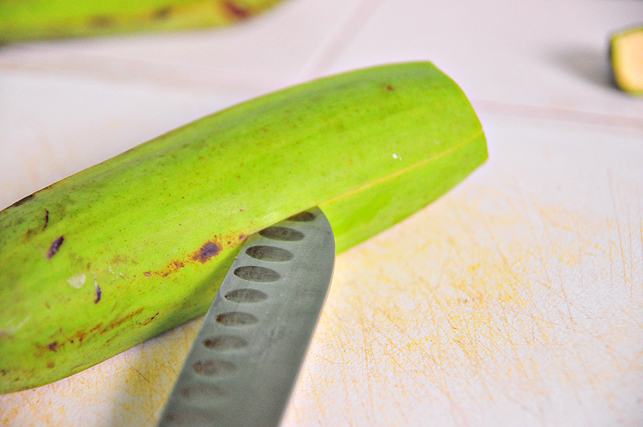 When plantains are green they are savory, almost like a potato. 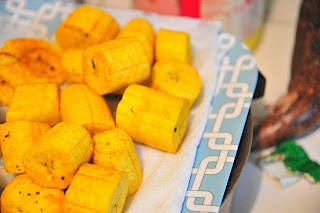 As they ripen they sweeten, if you let them get black (on the outside LOL) they are like candy. They are also much easier to peel when yellow. 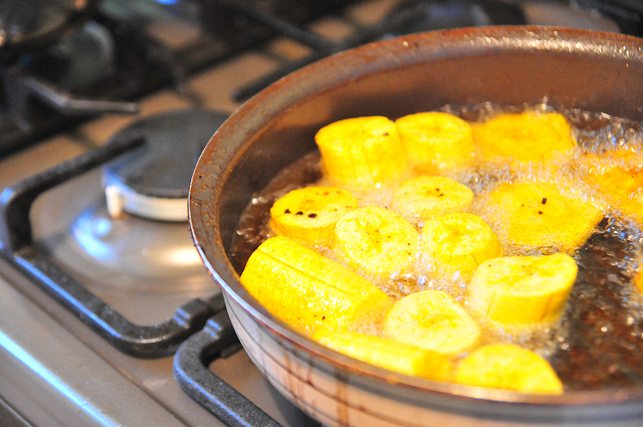 Here's our most common way to cook yellow plantains. Take a yellow plantain and cut the ends off. 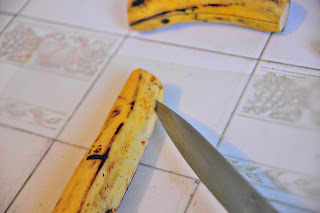 Peel off the plantain peel... nice and easy when they are yellow! 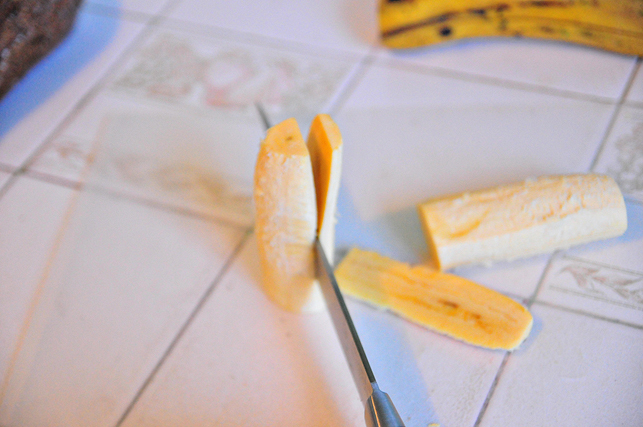 I then cut them in half, then each half into slices. 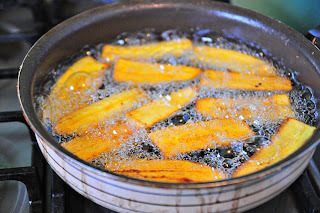 Put in hot oil and fry. 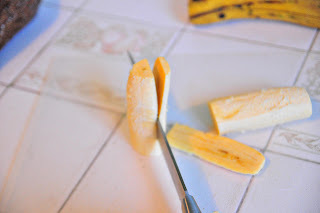 I love this big holey spoon for getting them out! 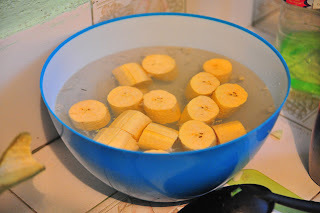 When they are nice and golden, dip them out and let them drain on paper towels... don't worry... this was just my first batch. I made more LOL. 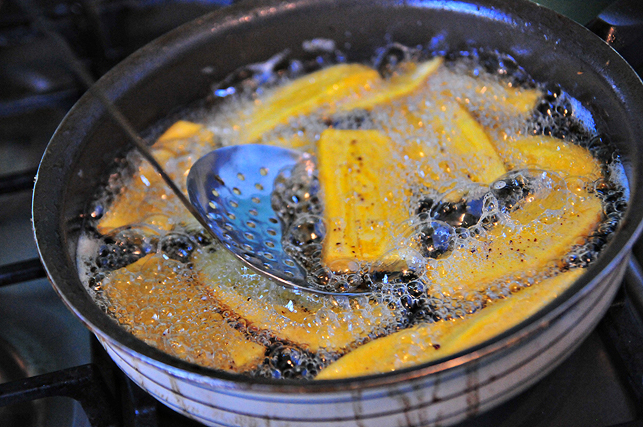 A few tips, we keep our oil in the pot since we use it so often... just put it in the oven so bugs don't get into it when we aren't using it. Makes it very easy. There is NO need to get new oil each time. We replace the oil maybe once a week. but will also be a bit harder to fry since they are more gooey at that stage. 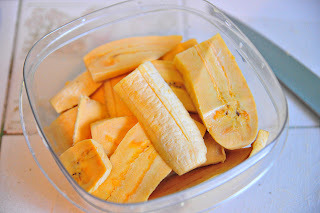 If you are making yellow plantains it's no trouble at all... the peels come off super easily. Green plantains... well... not so much. 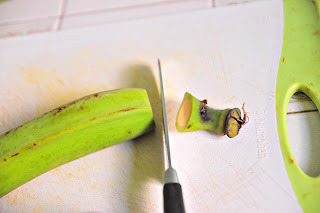 Slice through the peeling down the plantain. 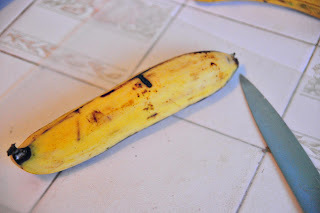 Peel off the peeling by putting your knife between the peel and the plantain and sort of lifting your knife/ prying the peeling off. 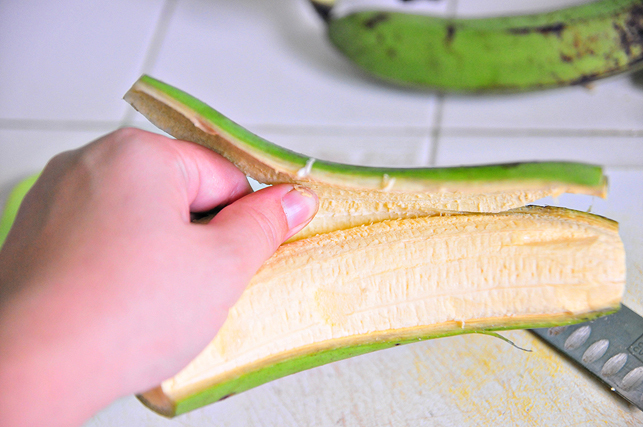 Once you get enough off you can usually peel some off with your hands. Be careful to not get it under your fingernails, that can be a bit painful as it's hard to get out. 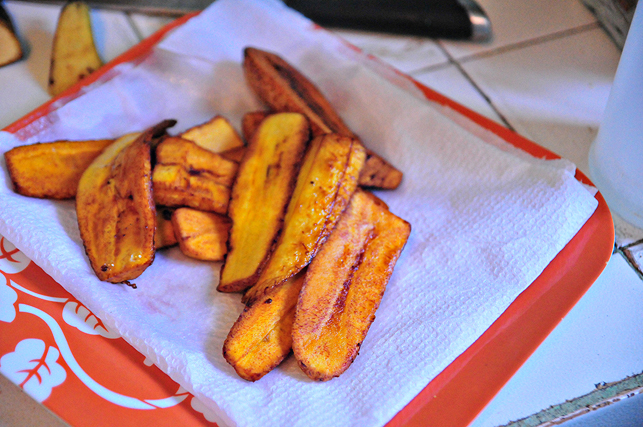 These are SO simple to make and SO SO good. 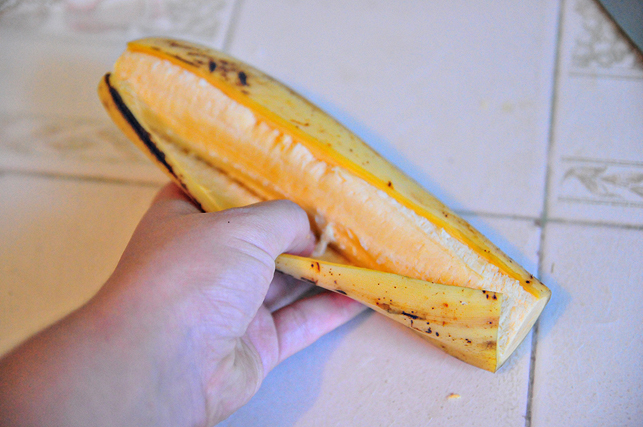 Peel and chop the green plantains into large pieces... about 1"-1 1/2" wide. 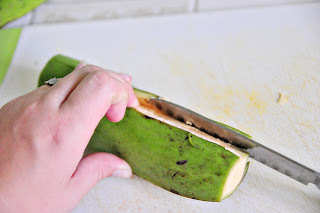 These can be challenging to peel... if you haven't peeled them before check the above recipe. As you chop them, place them in a bowl of salted water... both for flavor and to prevent them from browning. Place the pieces in hot oil and fry the until lightly browned. 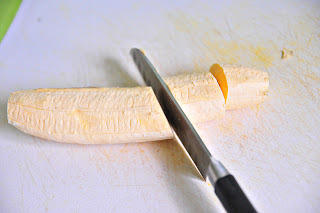 You will need to turn them over to get each side. Take them out and let them drain on paper towels. 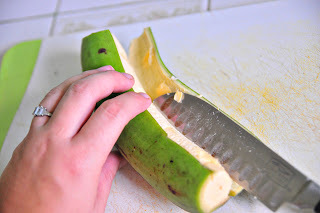 Next, you mash them. 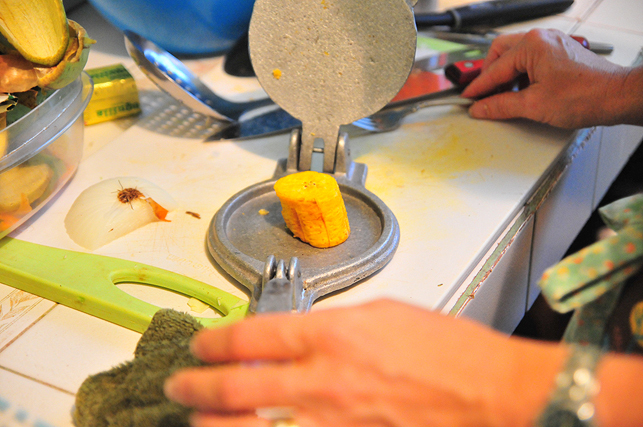 We have a small tortilla press that works great (a large one would as well). Or, use 2 plates, the bottom of a can, etc... Be sure to place them upright and smash them, not sideways... they tend to fall apart if you smash them sideways. Place them BACK in the oil, and fry again. Feel free to take a moment and admire our clean pan. After they are browned (not dark) take them out and again drain them on paper towels. 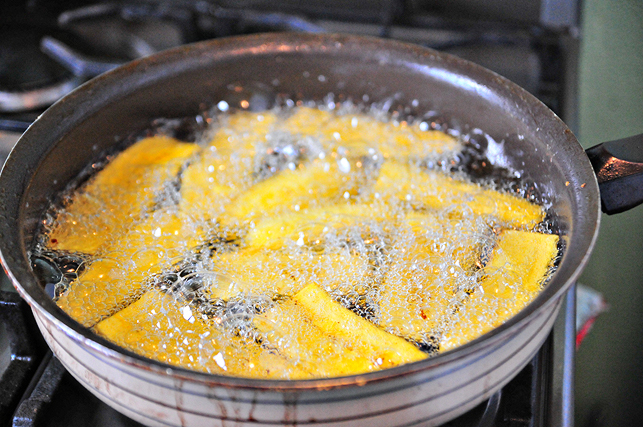 We then sprinkle them with some garlic salt (plain salt works as well). Serve with ketchup.. and enjoy! SO SO good!